And I had to walk uphill both ways – by which I mean: It’s hot, son. (A re-up). I wrote this last July and stumbled across it again last night, and lo! It’s as true today as it was then, if not more so (though I’m not sure about the Pacific Northwest part. They may have had a different number of minutes of summer this year). I don’t know if you’ve heard, but it’s been hot. 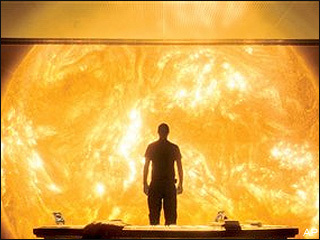 Hot in the Middle West, hot in the South, hot in the East, hot for the Hottentots, no doubt. Only in the Pacific Northwest — where they have, apparently, had 78 minutes of summer so far (according to actual scientists) — has it been anything other than Really Really Hot. Once upon a time, I lived in a city where this kind of hot was de rigueur at this time of year. Every year. Every day. From June 30 to September 10, give or take (with an inevitable resurgence just in time for Yom Kippur, when those who fast may not have so much as a sip of water) — heat just like this. It doesn’t cool down on summer evenings in Tel Aviv, and the humidity could fairly easily be cut with a knife. You could make little tofu-like cubes of the humidity, and stir-fry them on the sidewalk, at midnight, is what I’m saying. And back when I lived there, in the 80s and 90s, nobody but the rich had air-conditioning. I was not, as you may have surmised by now, counted among the rich. Here, though, in the gentle exile of American suburbia, I have air-conditioning up the wazoo! And if I keep certain windows shaded morning to night, it doesn’t even have to work all that hard to counteract the blast furnace with which we and the Hottentots must now grapple. Take upwards of three showers a day; allow my hair to drip down my back for as long as possible. Then wet my hair again. Sleep upside down, so that the fan could be right at my face. Dampen a sheet, and wrap myself in it at bedtime. Stick my head in the freezer. Of these five activities, clearly #4 represented the nadir of my misery. Because, dude: Jerusalem is awful. But for two glorious months of the year, when the sun had set and the breeze had returned, leaving Tel Aviv for the chaotic, dirty capital actually made sense. One time, I remember, I even had to put on a sweater. PS Just for the record: I really did used to stick my head in the freezer. You know: Now and then. If I happened to be passing. But I’m kind of short, so it would only last for a few seconds. 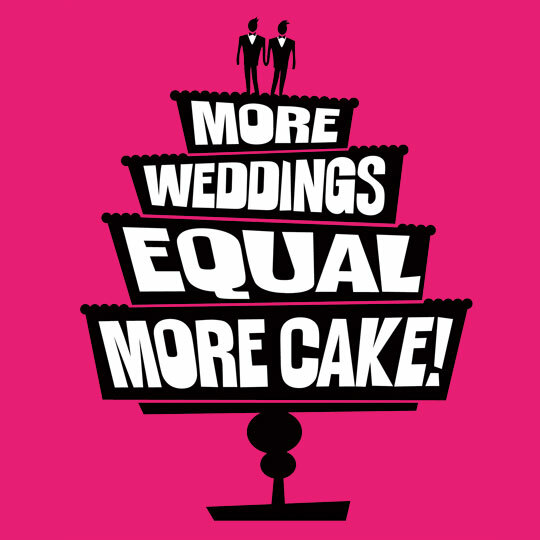 On a happier note… Democratic party platform to include marriage equality! Not entirely surprising, given the President’s announcement of his support for marriage equality back in May — but pretty thrilling, none the less! Capital H History, people, I tell you what. A new Pew poll finds that a plurality of Americans now supports gayt marriage, 48-33, and majority of independents now supports it, 51-40. But an even bigger majority of Republicans, 70 percent, still opposes it. That’s a big cultural shift over the last eight years; in 2004, a big majority opposed it. Republicans are alone in refusing to come to terms with where this is headed. We’ll soon find out whether suppporting gay marriage is really the political risk people keep saying it is. #RomneyShambles in the Holy Land. 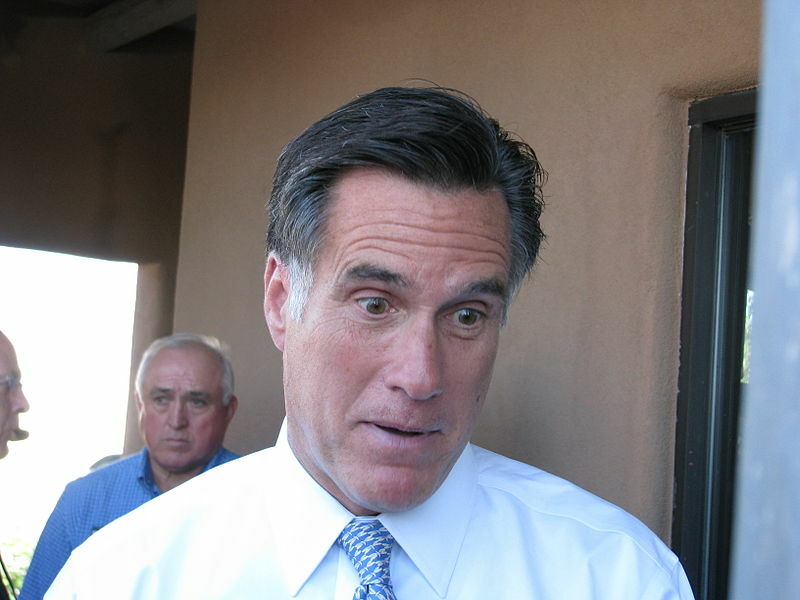 Pretty much the expression I imagine that Romney is forever wearing in his head. Because that’s what the Jewish people’s holiest site is meant for: Photo-ops. The boy becomes bar mitzvah in two and a half weeks; we have 11 Israelis arriving for the event; four days after we celebrate the boy’s accomplishments and on the very day that the Israelis fly home, the school year begins. What I’m saying here is that I’m very busy. But everybody and his/her brother has already noted that Mitt Romney was an even bigger disaster in Israel/Palestine than he was in England — so I don’t have to! Romney read his speech from two teleprompters that were placed opposite the stage, but compared to Obama, Romney seemed gray and uncharismatic. Even from this hand-picked, extremely friendly audience, he wasn’t able to extract thunderous applause. …Romney opened with Netanyahu’s favorite subject commenting on the rise of the Jewish people after the Holocaust, continuing with Israel and the United States’ common values, mentioning the 40th anniversary of the murder of the 11 Israeli athletes at the Munich Olympics, talked about the terrorist attack at the Hebrew University in Jerusalem a decade ago, which took the life of Israeli and American students, as well as, lauding Israeli innovation and its thriving economy. Apparently, in his in-flight briefing, Romney wasn’t briefed on Israel’s social protest. Those words were clearly aimed at the repeated public confrontations between Obama and Prime Minister Benjamin Netanyahu regarding the building In the settlements and the freeze in settlement expansion. “As you come here and you see the GDP [gross domestic product] per capita, for instance, in Israel, which is about $21,000 dollars, and compare that with the GDP per capita just across the areas managed by the Palestinian Authority, which is more like $10,000 per capita, you notice such a dramatically stark difference in economic vitality,” Romney said. …[Chief Palestinian negotiator Saeb] Erekat sharply criticized Romney’s remarks, calling them “a racist statement. This man doesn’t realize that the Palestinian economy cannot reach its potential because there is an Israeli occupation. Palestine therefore desperately needs to expand its private sector, which you should encourage. But it cannot. Palestinian banks have been unable to lend more than about $3 billion to credit-worthy business plans. For when you look at all of the things an ordinary businessperson takes for granted—mobility, access to markets, talent, suppliers and financial services—you see the frustrating effects of an occupation designed to advance the settlers, not Palestinian development. Palestinian banks cannot park their cash reserves in Israeli banks, losing tens of millions of dollars in interest. They also cannot set up branches or even ATMs in East Jerusalem, where unemployment is over 25 percent and 50 percent live under the poverty line. …Providence needs help sometimes, it seems. But you didn’t really come to Jerusalem to learn, did you? The candidate’s call to acknowledge what anyone can see is Israel’s capital is far more complicated than it seems, and a microcosm of the crucial but difficult role that the U.S. plays in securing peace. Open thread for the Horde with a broken home. That Atlantic just broke for me about 10 minutes ago, and is still broke. So. Assuming it’s not just me: Here’s a thread! On voter ID laws and poll taxes. And then my head explodes. Because no. Everyone can’t. I’ve had times in my life when $50, or $20, or even $10 was so far beyond my means as to be laughable. Might as well make it a million! ‘Cause once you get past “nothing,” it’s all impossible. Yet for me, those were just “times” — periods of difficulty that I had no reason to think would define my life. I have never wanted for food or sufficient clothing (though those hand-me-down boots I wore as a kid skirted the line) and moreover, if I had ever fallen into catastrophic need, there have always been people in my life who could have and would have saved me (and did). My poverty, which has at times been very real, has also been very relative. There are a lot of folks out there for whom that’s just not the case. They make decisions every day about what they’re going to buy: Shoes for the kid? Or electricity for the apartment? People who work every day, sometimes two or three jobs, and still have to go to the food pantry at the end of the month. Many born into poverty, raising children in poverty, and likely to die in poverty. The kind of folks who die because they couldn’t afford a doctor, and for whom communities hold bake sales in order to pay for the funeral. People for whom $10 more than nothing will always be the metaphorical equivalent of a million dollars. And yet, call me crazy: I still think they have a right to vote. Getting an official government ID costs money in this country (it shouldn’t, if you ask me, but it does) — and thus, if you cannot vote without a government-issued ID, and that ID costs money, ipso facto, you are being required to pay cash dollars in order to gain access to your Constitutionally guaranteed right to vote. That is a poll tax. I know that the US Attorney General agrees with me on this, and that he has all kinds of Constitutional law and precedent to back him up, but all I really need (frankly) is common sense — it’s just math, of the 1+1 = 2 variety. And as we all know, poll taxes are designed to exclude a very particular kind of voter from participating in the democratic process. According to the University of Michigan’s National Poverty Center, a wildly disproportionate number of America’s poor are people of color (27.4% of blacks and 26.6% of Hispanics, vs. 9.9% of whites) and/or single-parent households (31.6% of single-mother households, vs. 15.8% of single-dads and 6.2% of two-parent homes) — and people of color tend to vote for Democrats. As do single moms. But it goes beyond that, of course: The GOP doesn’t much like poor people of any stripe, and like most of us, Republican big wigs assume that the higher the turnout, the more Democratic votes cast (research suggesting that this isn’t always the case not withstanding). Of course supporters of voter ID laws say that such legislation protects the republic from massive voter fraud. 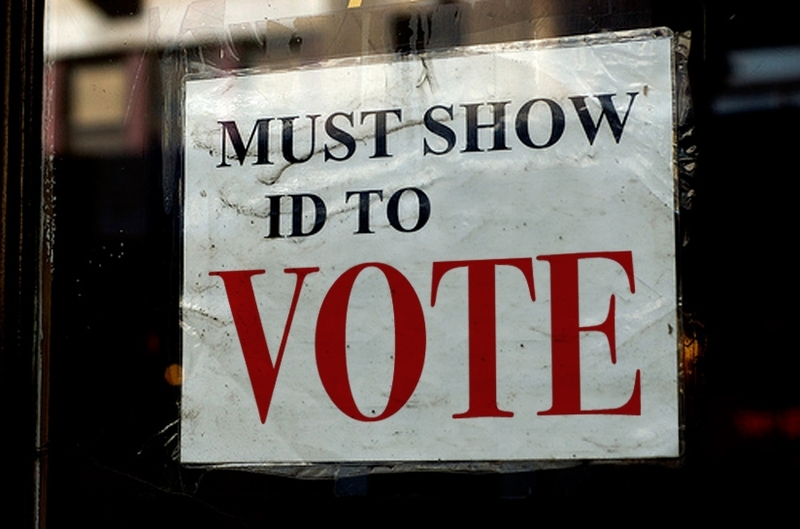 Voter ID laws are a poll tax, plain and simple, designed to keep a certain class of voter from voting. The kind of voter for whom $10 might as well be a million. For a list of states that require voter ID, click here. Open Thread for the threading of openness. And thread. Is that you – or did you just open a new book? On the one hand, this is perfume that is purported to smell like new books — a thing which, I will confess, I really rather want to both own and wear. This is an opportunity to celebrate all the gloriosensuality of books, at a time when many in the industry are turning against them. The idea is that is should relax you, like when you read a book, to a level of meditation and concentration. Paper Passion has evolved into something quite beautiful and unique. 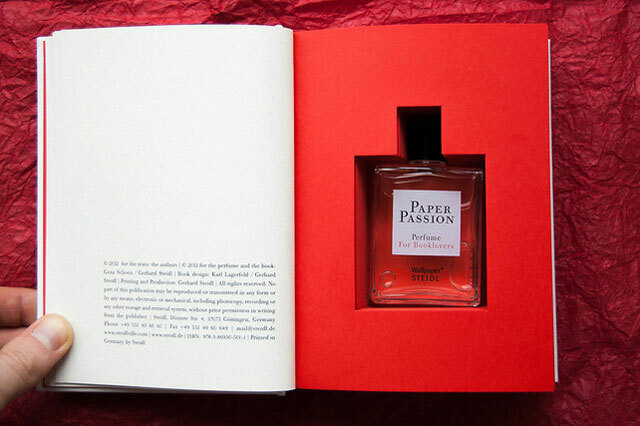 To wear the smell of a book is something very chic. Books are players in the intellectual world, but also in the world of luxury. All told, I think I’m lucky that it’s $98 a bottle. The temptation factor drops considerably at that price point, and I might never forgive myself if I ever bought any. Democrat. Jewish. Still Voting for Obama. Please help me with this, my latest at Open Zion/The Daily Beast – if you like it (and why wouldn’t you? It’s perfectly charming! Whimsical, even!) please, please tweet the Open Zion link, FB it, Pin it, send it to your granny — get it out there! Here’s the link in all its glory: http://www.thedailybeast.com/articles/2012/07/25/democrat-jewish-still-voting-for-obama.html Just cut-n-paste (if you like it!) and you’re good to go. I hear you voted for Barack Obama in ‘08, but that you’ll be voting for Mitt Romney this time. I hear this, because the Romney campaign has told me, loudly. First of all: Far be it from me to suggest that you don’t have a right to be disappointed in the guy you voted for! I’ve been disappointed with this President a time or two myself, and what is democracy if not the opportunity to express that disappointment in the voting booth? You don’t like the bums? Vote the bums out, I say! But here’s what I will say, and if you’ve got a glass of tea, I’d be grateful. The Romney campaign likes you not for your economic opinions or that nice kugel you brought them, but rather because you’re a Jew who will say “Fie!” on the President. You’re a Jew who will help them and the GOP writ large further the narrative (as financed by the likes of Sheldon Adelson) that a) Jews are abandoning Obama and b) Jews vote on Israel. But Michael. Michael, Michael, Michael! You and I both know that neither of those things are true! To read the rest (and spread the word! If you like it! ), please click here…. Defense Minister Ehud Barak has ordered the demolition of eight Palestinian villages in the South Hebron Hills because the territory is needed for Israel Defense Forces training exercises, the state told the High Court of Justice on Sunday. The residents of the targeted villages will be moved to the town of Yatta and its environs; the state claims, based on information it obtained from local informers, that most of these people have permanent homes in that area. The state will allow the residents to work their lands and graze their flocks there when the IDF is not training — on weekends and Jewish holidays – and during two other periods of one month each during the year. Barak agreed to leave four villages that are in the northernmost part of the area, even though this would reduce the dimensions of training area and prevent the use of live fire. 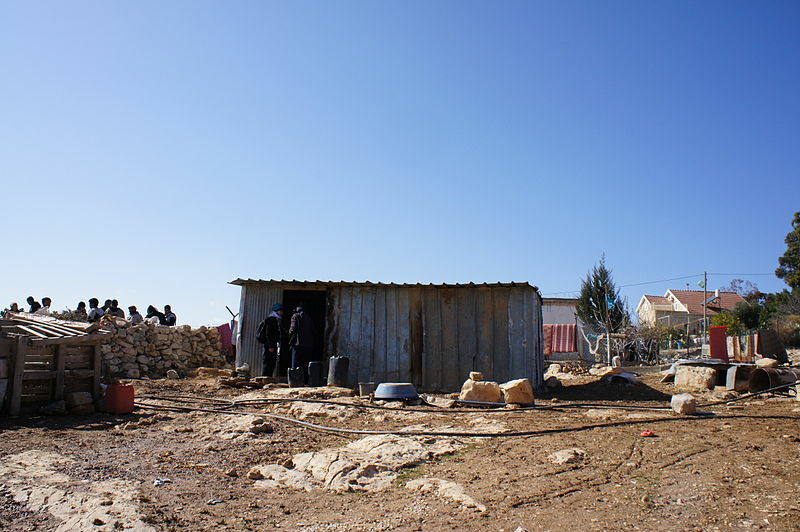 …The IDF and the Civil Administration regard all of them as squatters in Firing Zone 918, even though the villages have existed since at least the 1830s. …The state also claims that in recent years residents have been repeatedly violating the status quo by expanding structures illegally. An open thread for the Anglo-Saxon masses. (Also the Gauls. And the Normans. And everybody else).